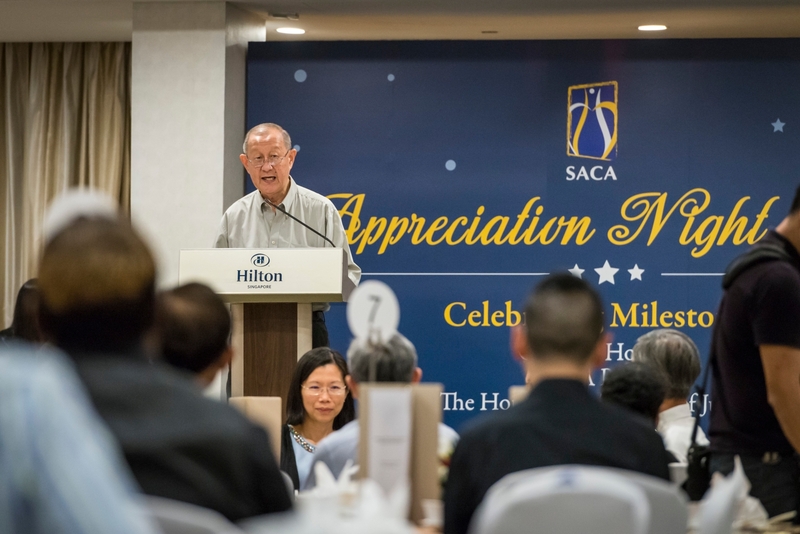 It is yet time again for SACA's annual appreciation night dinner for our dedicated volunteers! It was a fun night filled with lots of laughter, courtesy of our amazing emcee, Aman, and our sporting audience. 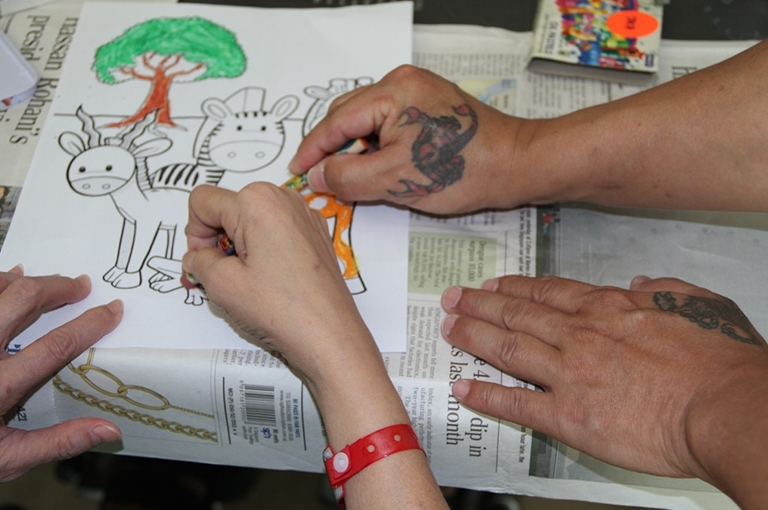 The second community service event of the year was a special one for SACA and its Case Managers: families of our clients were invited to join in the day, creating memorable bonds deeply rooted in serving from their hearts. Our annual Holiday Programme is meant to be a fun exciting day of bonding for the Association's clients and their loved ones. This year was a first that SACA held its annual fundraiser at the Capitol Theatre, to a crowd of over 800 guests! 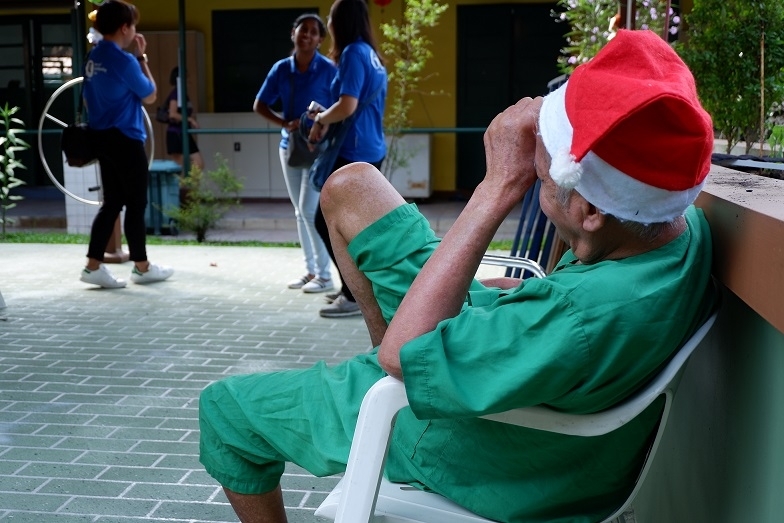 The very first community service event of the year goes out to the Case Management team, who led clients in a fruitful day interacting with the senior citizens at the Home. The best way to open the year is with scrumptious food! 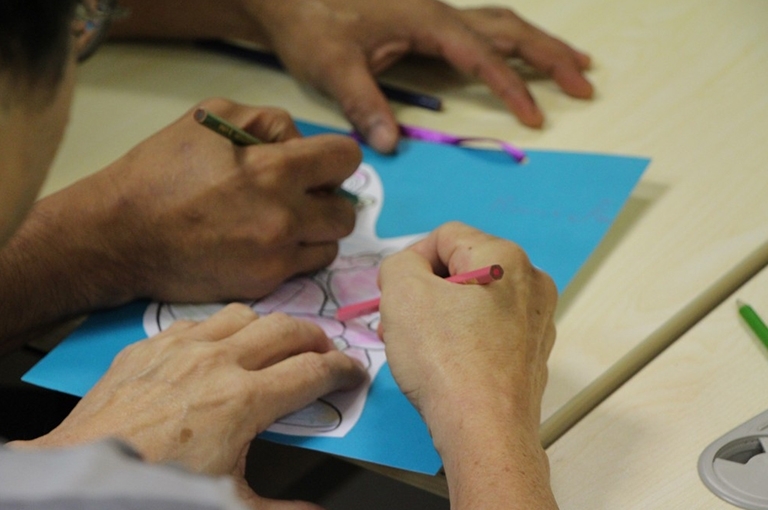 Our student-clients from the Education Support Programme went on a learning journey with their five senses at Dignity Kitchen! This year's installment of Appreciation Night celebrated the 20th Anniversary of the Volunteer Aftercare Programme as well as 10th Anniversary of the Education Support Programme. It also served as a platform to launch a new initiative, the family-connect @ State Courts. 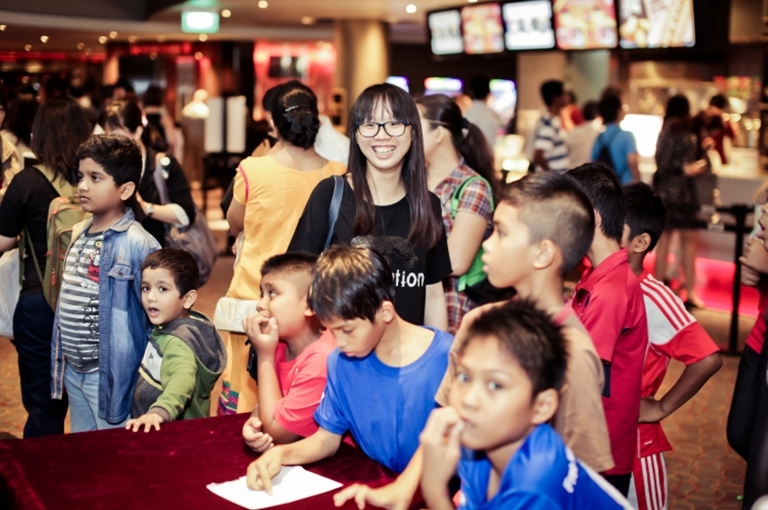 This June, SACA held its annual charity movie event at Golden Village, Vivocity. Do you have what it takes to be a detective? 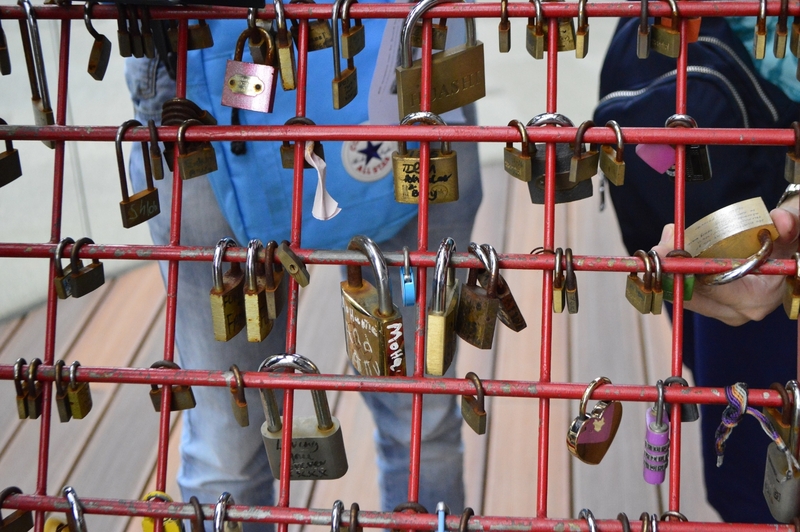 Our ESP students certainly do, putting their minds and bodies to the test last Sunday as they solved riddles around Clarke Quay! 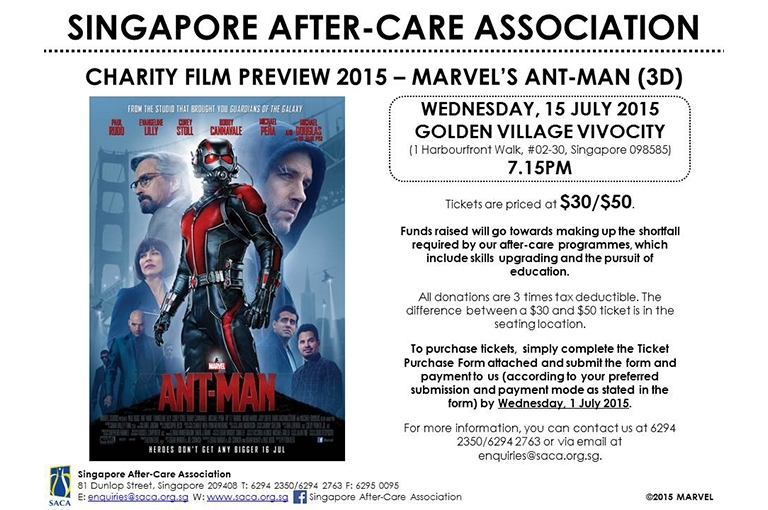 SACA Charity Film Preview 2015: MARVEL’S ANT-MAN in 3D – JOIN US! Support SACA’s Charity Film Preview and do your part to help the reintegration of ex-offenders! 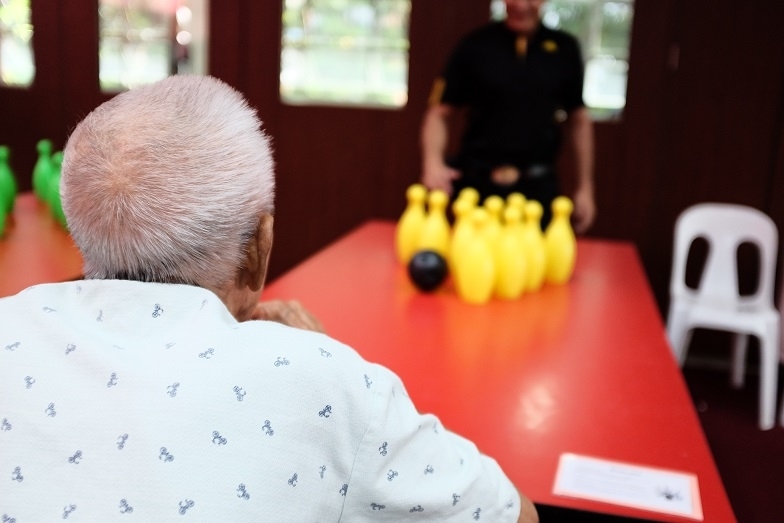 A total of 31 clients and staff made their way to Apex Harmony Lodge on Sunday, 3 May to give back to the community by spending time with the elderly and engaging them in simple yet fun activities to brighten up their morning. 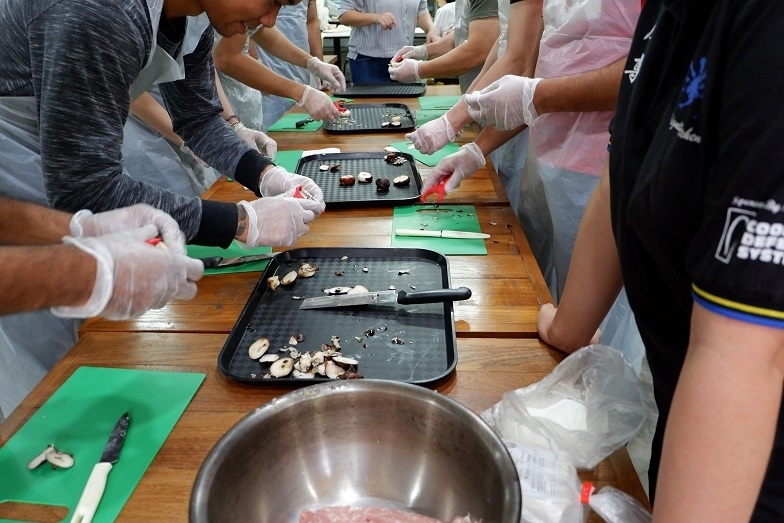 SACA’s Case Management (CM) team organised the first community service event for the year at Sree Narayana Mission Home for the Aged Sick on 19 April. 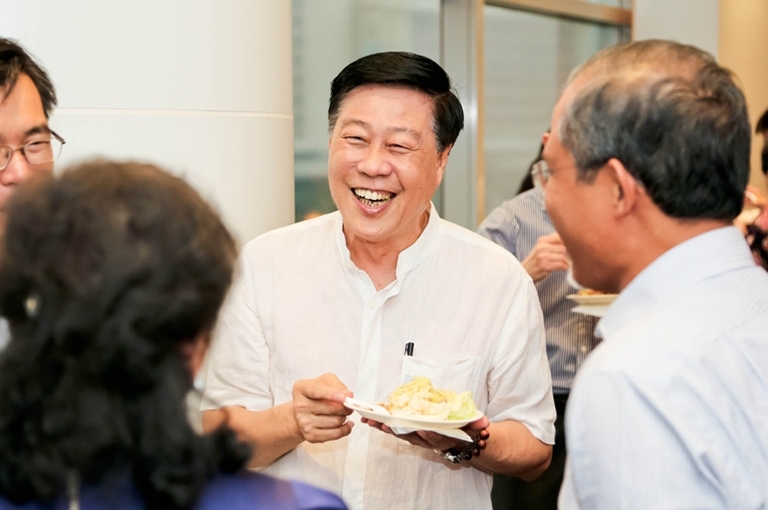 SACA (as part of the Community Action for the Rehabilitation of Ex-Offenders (CARE) Network) kick started the year 2015 with much fanfare with the staging of the musical production The Prison Within in collaboration with Nanyang Polytechnic – specifically the faculty of Social Work from the School of Health Sciences – and in support of the Yellow Ribbon Project. The people who stand with SACA as volunteers are integral to the mission we undertake and they are truly one of SACA’s greatest treasures. 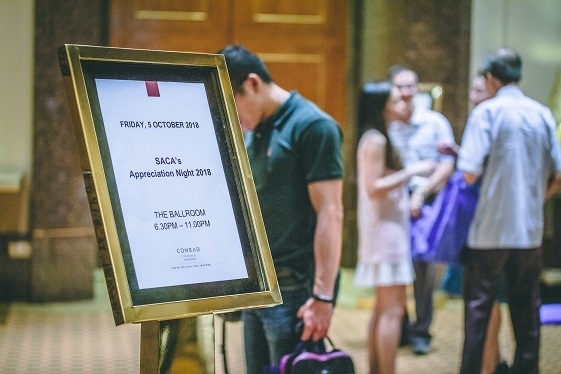 On 14 November 2014, SACA’s annual Volunteer Appreciation Night was held at the Furama RiverFront Hotel. 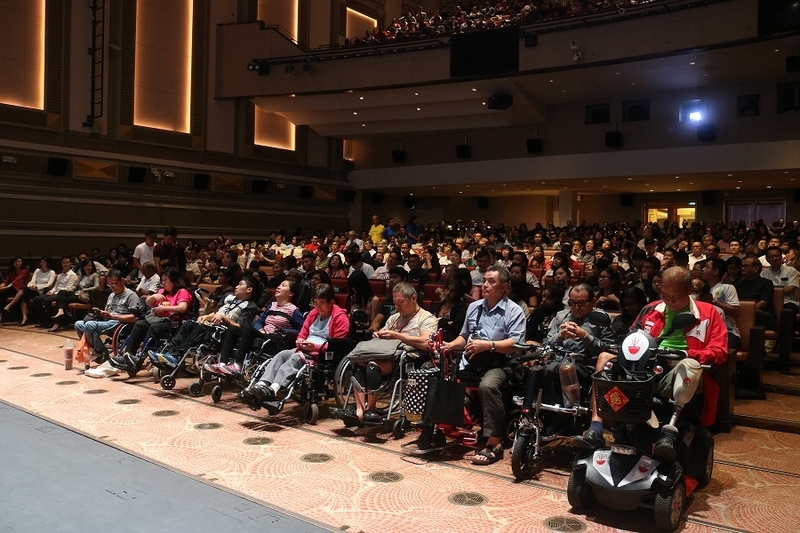 The annual SACA Charity Film Preview was held on the 28th May 2014 at GV Vivocity. Partnering Walt Disney Studios Singapore, the chosen movie was Disney’s Maleficent starring Angelina Jolie and Elle Fanning. 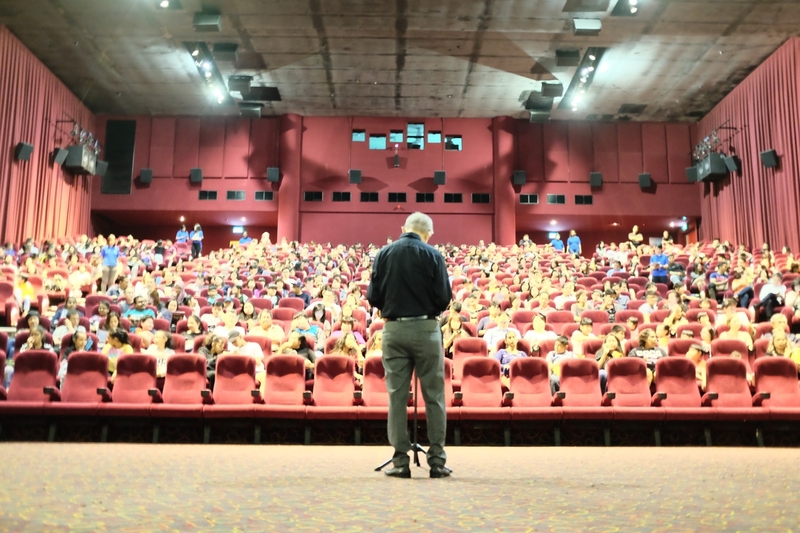 The re-imagining of the classic tale of Sleeping Beauty, the movie was a hit with everyone at the event. 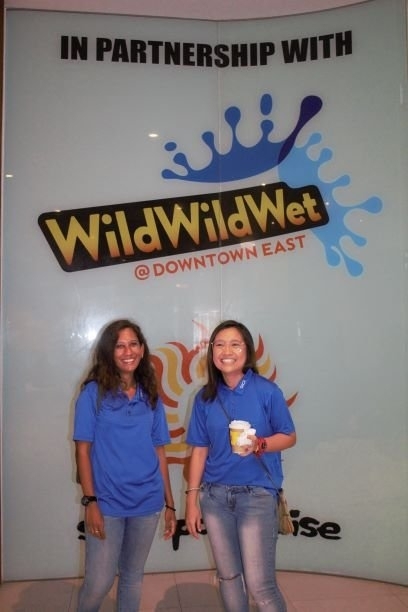 In partnership with Sony Pictures Singapore, the movie selected for 2013 was the summer action block-buster White House Down. Starring Channing Tatum and Jamie Foxx, the movie was a massive hit with all our supporters, friends, patrons and partners. Our volunteers are the true pillars of the Association! 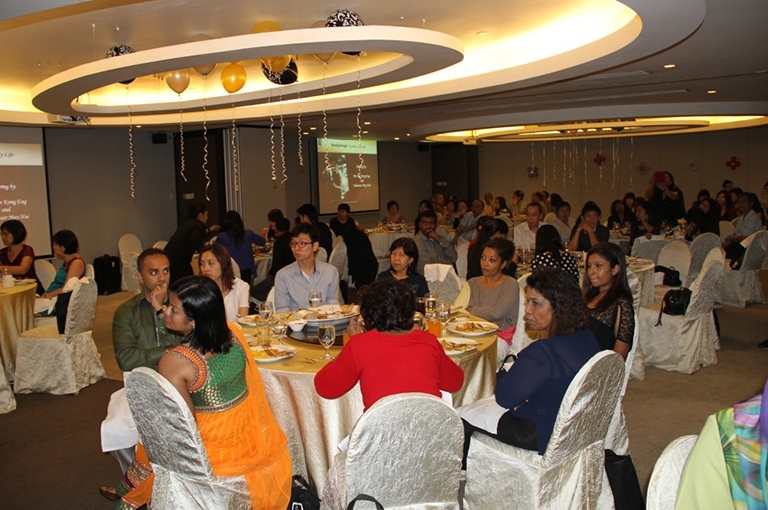 On the 22nd November 2013, we celebrated our annual SACA Volunteers Appreciation Night at Furama Riverfront Hotel. 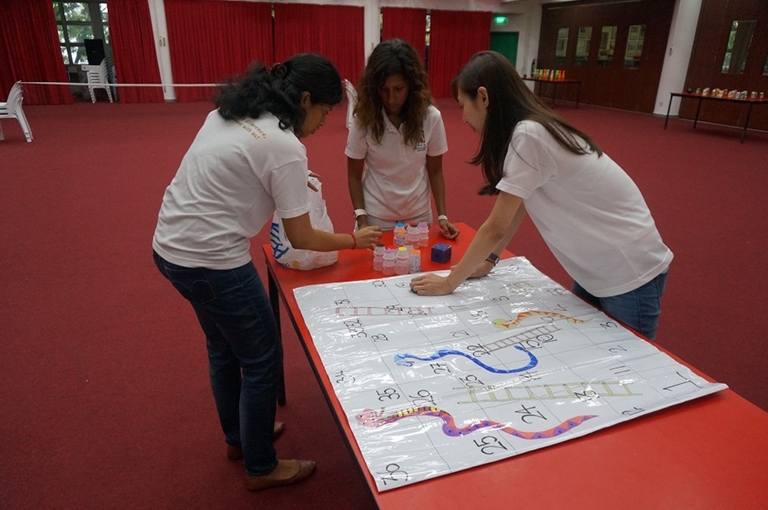 On the 22nd September 2013, our DCM Team together with a group of our clients were at the Thye Hua Kwan Hospital at Ang Mo Kio to spend some quality time interacting with the elderly residents there.